If these high quality leaked pictures are of the real thing, then the Classic’s design will be familiar to all BlackBerry fans. The phone, also known as the Q20, looks a lot like the Q10, Bold, and Curve smartphones; complete with a modest sized screen, a physical QWERTY keyboard, and a five-button navigation and shortcut strip separating the two. The phone has a textured rear panel, plus a set of speaker cutouts running across the base of the device. 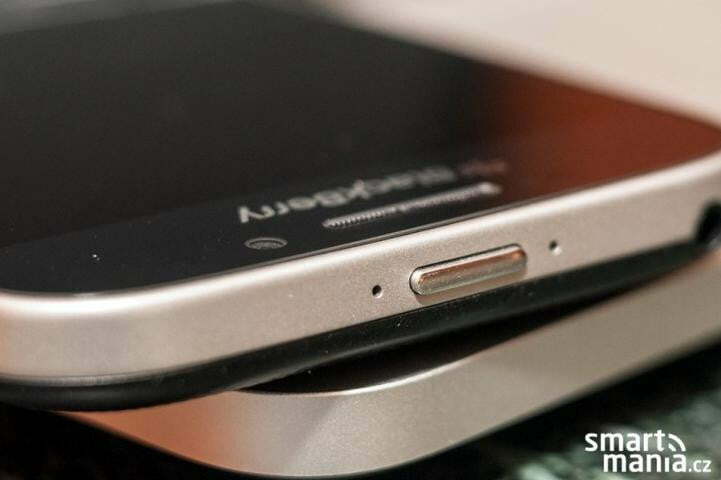 A sleep/wake key is fitted to the top of the phone, while a MicroSD card slot sits next to the SIM tray down the left-hand side. On the pictured model, the strip holding the camera lens and LED flash shows “Classic” branding. 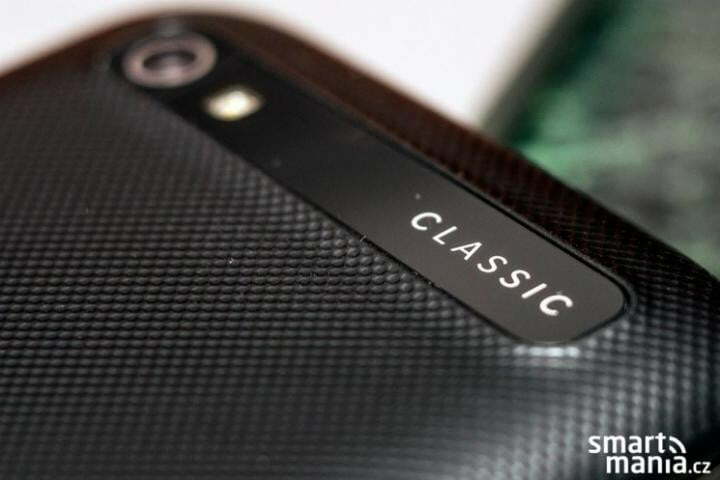 When the Q20 was announced at MWC, it was stated the Classic name would be worn by more devices in the future. An extensive spec list for the Classic has been leaked. If it’s accurate, we can expect a 3.46-inch touchscreen with a 720 x 720 pixel resolution, and power from a dual-core Snapdragon processor running a 1.5GHz. Internal memory should be 16GB with the option to increase this using a MicroSD card, while RAM will be a respectable 2GB. Photographic duties will be handled by an 8-megapixel camera on the rear, which is also equipped with auto-focus and an LED flash, while selfies will be snapped with the 2-megapixel front camera. Other notable features include NFC, a 2515mAh battery, wireless charging support on selected models, and noise canceling microphones. Following in the footsteps of the Z3, the BlackBerry Q20 Classic should be built in Foxconn’s factories, with BlackBerry responsible only for the software side. We’re also expecting it to be launched mainly in BlackBerry’s most important markets. 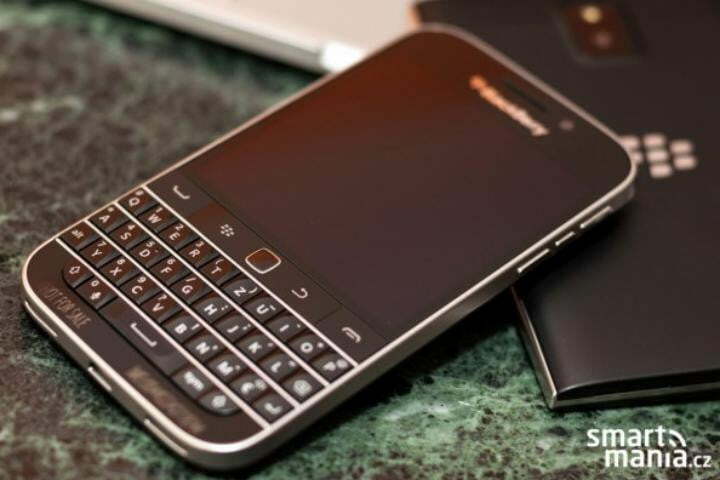 The BlackBerry Classic has been confirmed at CES to arrive in the U.S. sometime in 2015. Right now pricing for AT&T suggests the unit will be just $50 on a two-year agreement, along with a $420 retail price. Verizon has also confirmed to be carrying the Classic, though no word on availability or pricing – but we think it will be somewhere around AT&T’s pricing. Updated on 05-07-2015 by Malarie Gokey: Added in price and release information from T-Mobile. Updated on 11-13-2014 by Malarie Gokey: Added December 17 launch date, pricing, and pre-order info. Updated on 01-07-2015 by Andy Boxall: Added in official information concerning the BlackBerry Classic, including availability details online, plus through AT&T and Verizon.